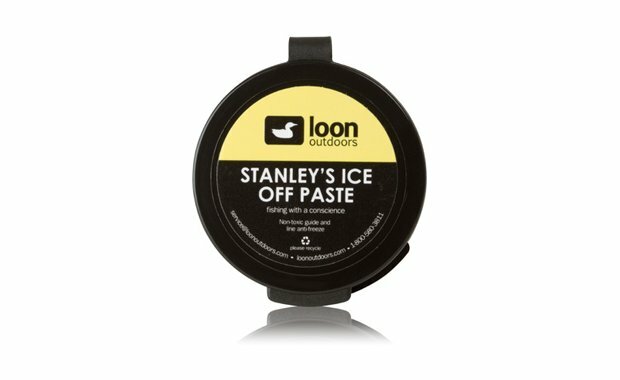 A non-toxic antifreeze paste for lines and guides to keep them from freezing. Effective to 12 degrees below freezing. 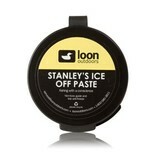 Apply Stanley’s to your line and guides with fingertips or a clean cloth. It won’t hurt you or your equipment as it is completely safe and environmentally friendly. Reapply as necessary depending on weather. It works. Just ask any Midwestern winter steelhead fisherman.